This course is suitable for anyone who has done an introductory course and they’d like to extend their practice. It can be taken as a follow on from Thursday or as a stand alone. We will be using several ways to ecoprint, exploring ways to get different tones from plant dyes, and seeing how different silks take prints and dyes. We will be working in a beautiful large space at the college, and a delicious lunch is included in the price. Contact Malvern Hills College on 0300 456 0047 for more information and to book a place. Last year the Introductory course booked up fast! 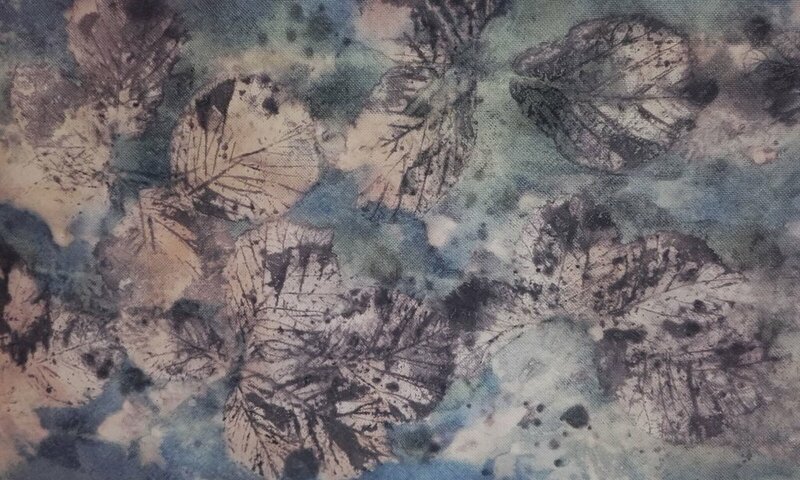 Enjoy the exciting process of using plants to dye and print onto fabric and paper. You will take away dyed and ecoprinted pieces of silk, cotton and cartridge paper. 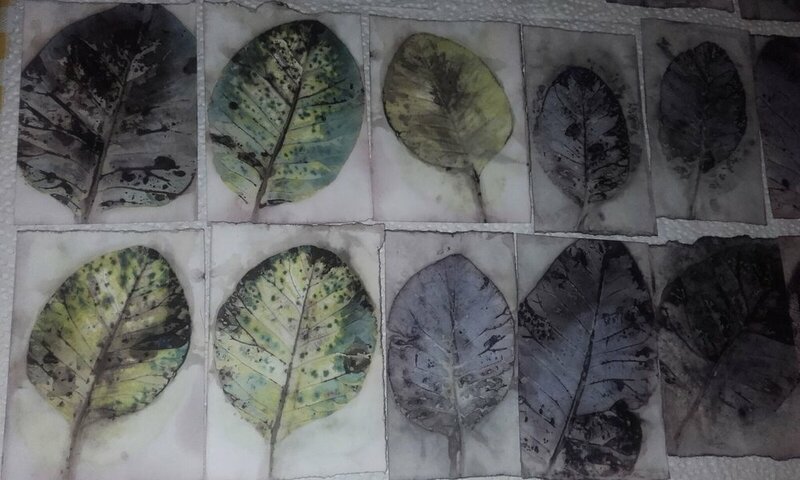 You will also have the opportunity to experiment with some shibori techniques and to dye stitched fabric with natural plant dyes.